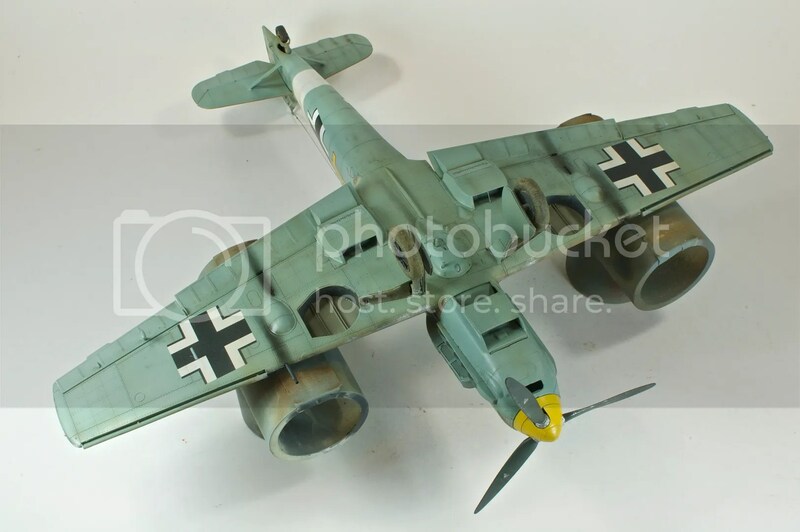 Eduard’s 1/32 Bf 109E-7 Trop is, overall, a solid kit. The rivet and panel detail is gorgeous, the build-up is mostly trouble-free, and the Cartograf decal sheet is extraordinary. Unfortunately, the kit isn’t without its faults, or rather, areas for improvement. The upper cowl is clearly meant to be left aside to expose the engine, and fits poorly with the rest of the fuselage, and several minor pieces suffer from a lack of positive location, making them difficult to position. 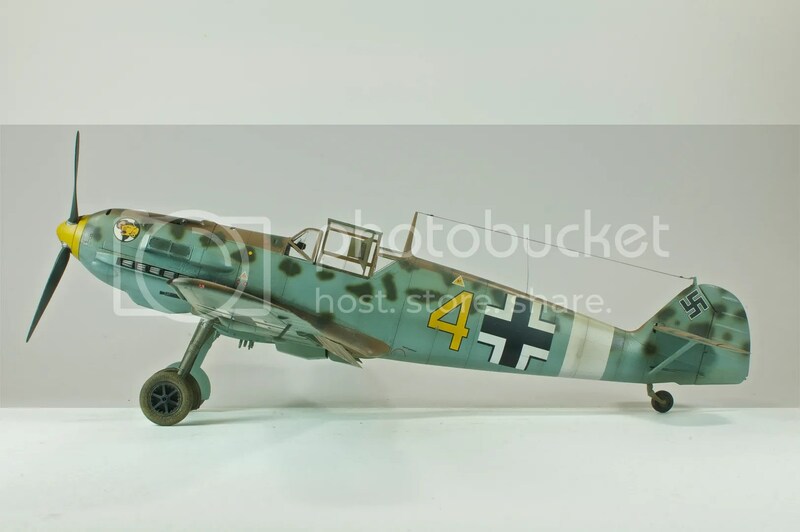 The cockpit, while detailed, could be even moreso and, oddly, the PE included with this kit doesn’t seem quite up to the same breathtaking standards as Eduard’s PE sets for other 1/32 kits. 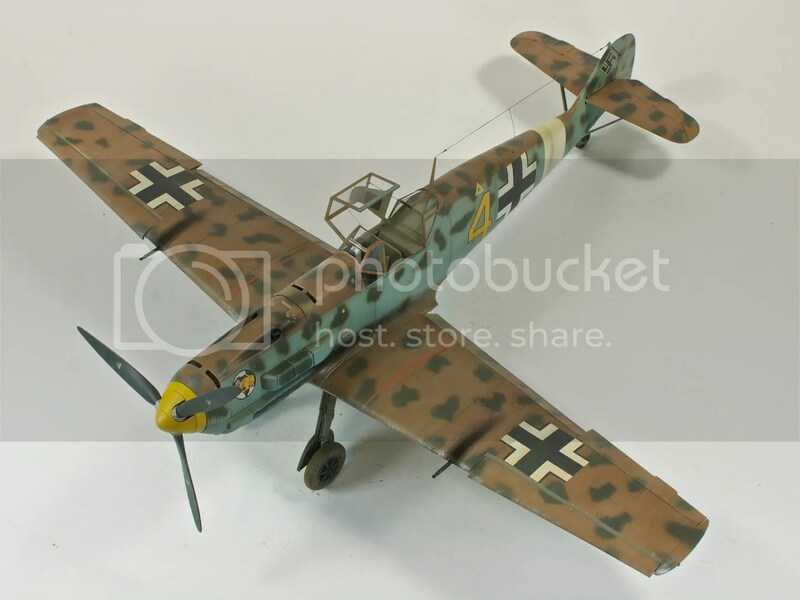 None of these flaws would keep me from building another Eduard 109, but it’s always best to go into a kit with your eyes open. Love your work especially the RLM-74. Did you lay down 74 before doing 76 & 75? Can’t go wrong with Eduard . I don’t even bother looking at other manufacturers anymore, I just go straight to Eduard Profile packs, there cheaper than the majority of other manufacturers & they contain an extra $20-30 AU worth of aftermarket extras. My F6F-3 Hellcat even came with resin parts along with the usual Photo-etch & Masks all for under $30.Its like they throw in the actual model for free because if you were to buy the Eduard aftermarket products for the Weekend editions it would cost almost double which is insane! Just came across a post of yours from 2011 on finescale.com. Windex contains ammonia which shouldn’t be used on metals. Be careful using on your valued airbrushes.